Welcome to Holy Trinity, Stroud Green. We are the Church of England Parish Church for Stroud Green and under the episcopal oversight of the Bishop of Fulham in the Diocese of London. Our main Parish Mass on a Sunday is at 11.30am, please do join us. The congregation at Holy Trinity, like the local community around us, is made up of people who come from all sorts of backgrounds. You can be sure of a warm welcome!Our congregation has a strong Anglo-Catholic tradition and we aim to make this rich treasury of faith open to all. 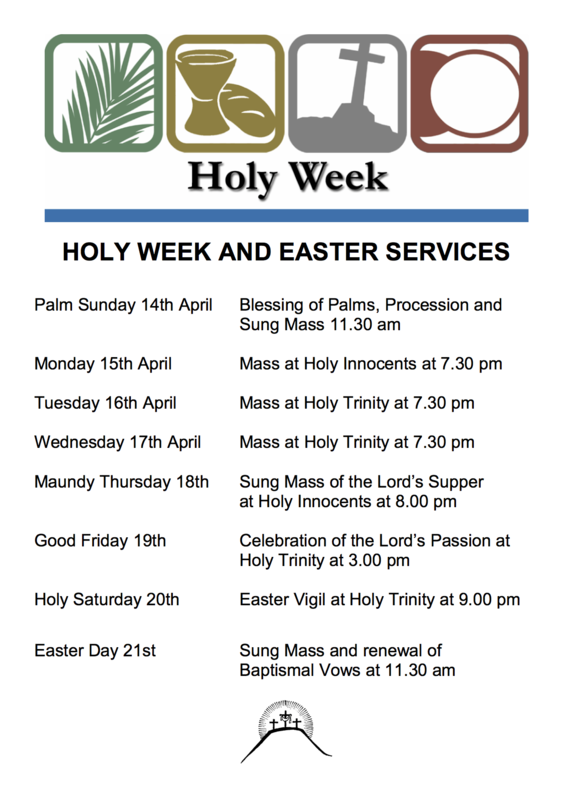 This website also introduces you to our sister parish Holy Innocents, Hornsey Our congregations work very closely together and the priests and pastoral assistants, minister across both parishes. This working relationship strengthens our ties and enables both churches to enjoy mixing with each other for services, pilgrimages, and social events. We also work with Hornsey Parish Church and their rector, Fr Bruce Batstone. Many of our services and activities are held jointly, particularly our Sunday evening services which are held in the four locations in rotation. We also hold services at Hornsey Church Tower, where of the old St Mary’s Church, only the tower and graveyard remain. These are now maintained by the Friends of Hornsey Church Tower on behalf of St Mary’s and St George’s PCC. Within our parish boundary is St Peter in Chains Roman Catholic Church, with whom we come together at key moments in the Church’s year, such as the Advent Carol Service at the beginning of the year.